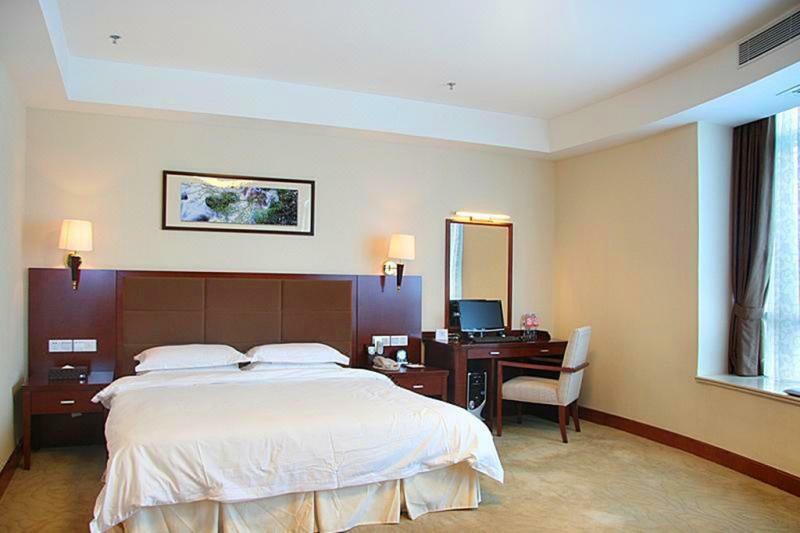 Guangdong Geological Landscape Hotel official site! Best price guarantee! 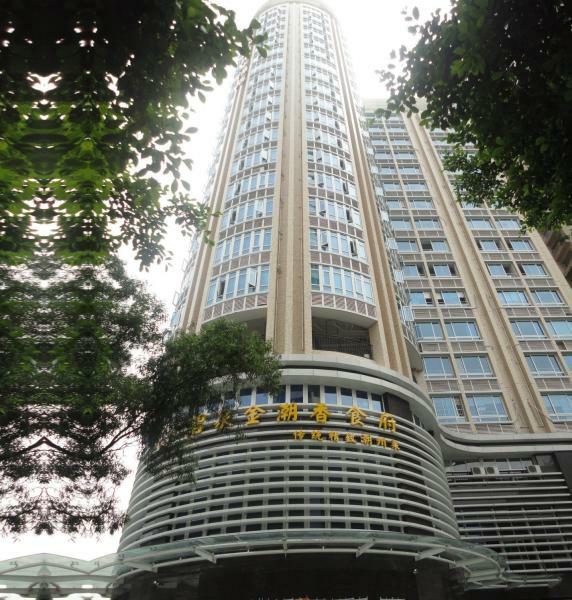 The Guangdong Geological Landscape Hotel (Guangdong Dizhishanshui Jiudian) is a luxury four-star hotel located on East Huanshi Road - the most bustling commercial center of Guangzhou. 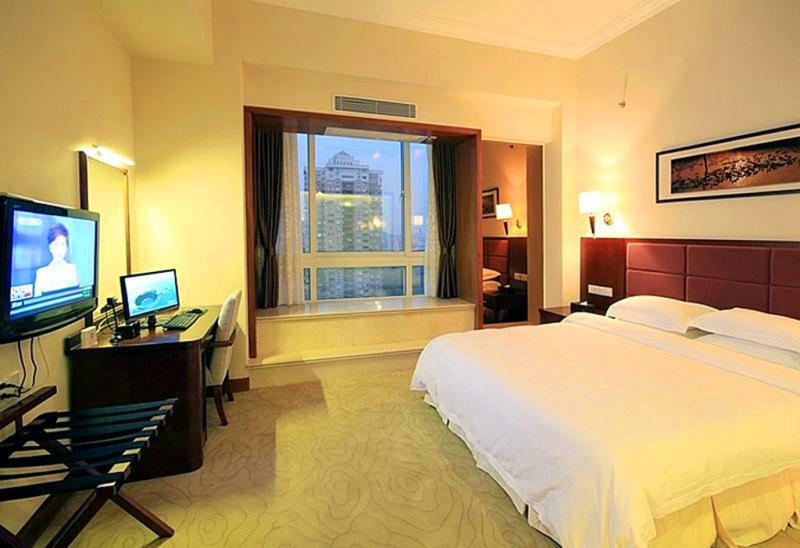 The hotel has a great location for both transportation and shopping. 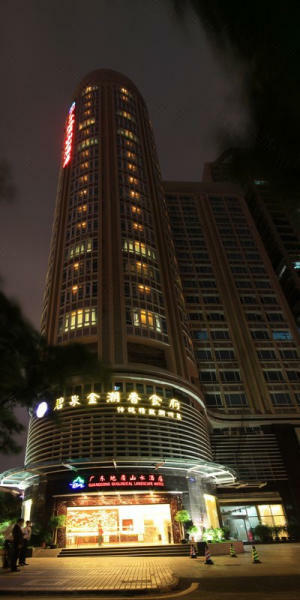 It's only a three-minute drive to Tianhe Sports Center, Friendship Store and Libo Plaza, eight-minutes to both Guangzhou Railway Station and Guangzhou East Railway Station and a 40-minute drive to Baiyun Airport. 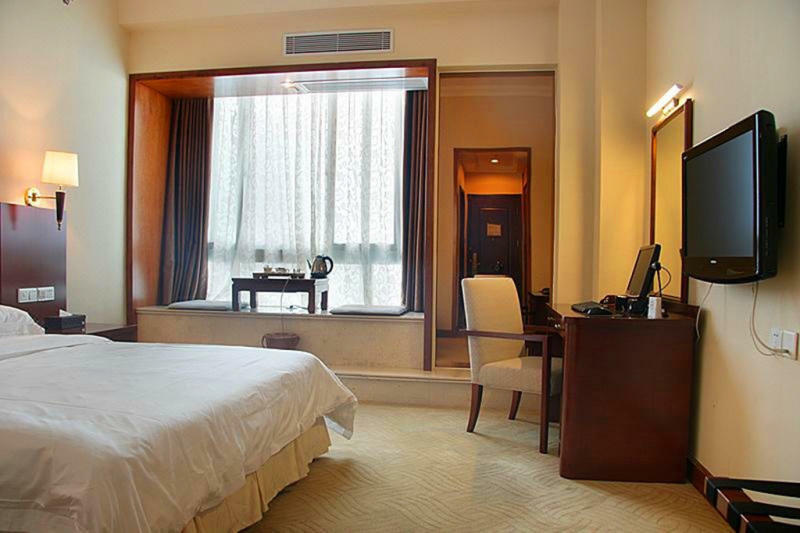 It is also adjacent to the Jinhan Exhibition Hall and the Pazhou Exhibition Hall, and within walking distance to the Zoo. 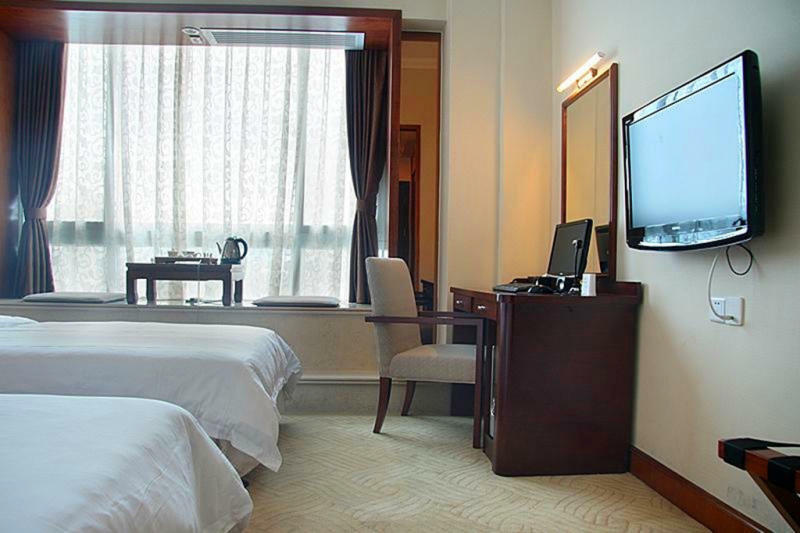 The hotel possesses 208 luxurious and comfortable rooms equipped with Tatami-style Kung Fu Tea sets, which are meticulously designed and a pleasure to enjoy tea from. 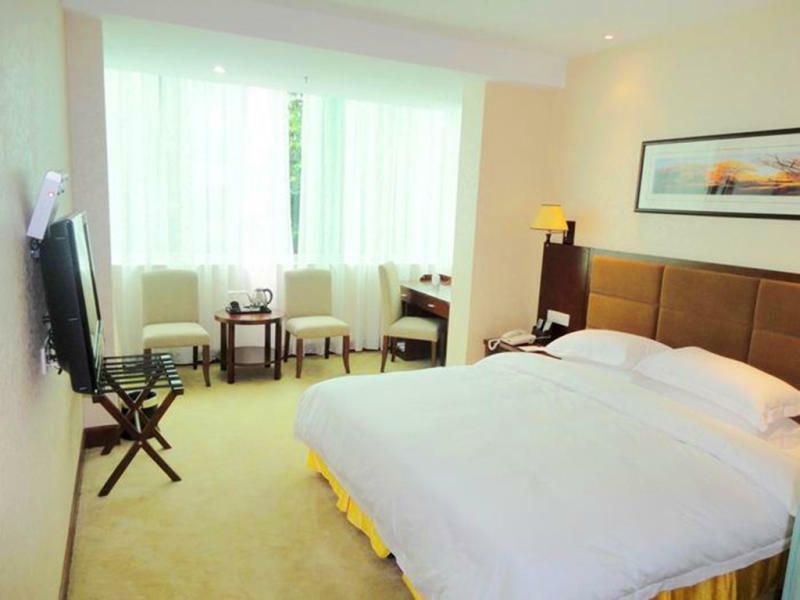 It boasts an excellent view and is well appointed with numerous in-room facilities such as video-on-demand systems, LCD TVs and free broadband access. 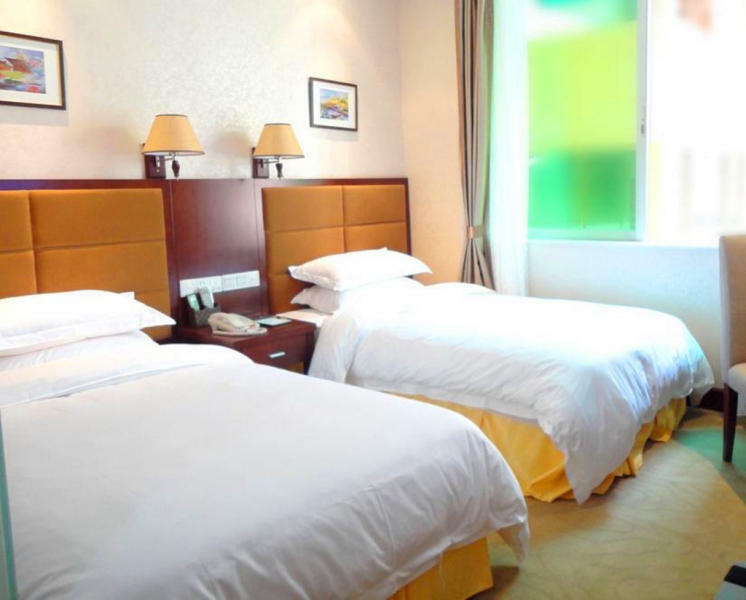 Based on the philosophy of continually improving their services, the hotel is provides the most professional, personalized service for business events, conference activities, birthday parties and wedding ceremonies. 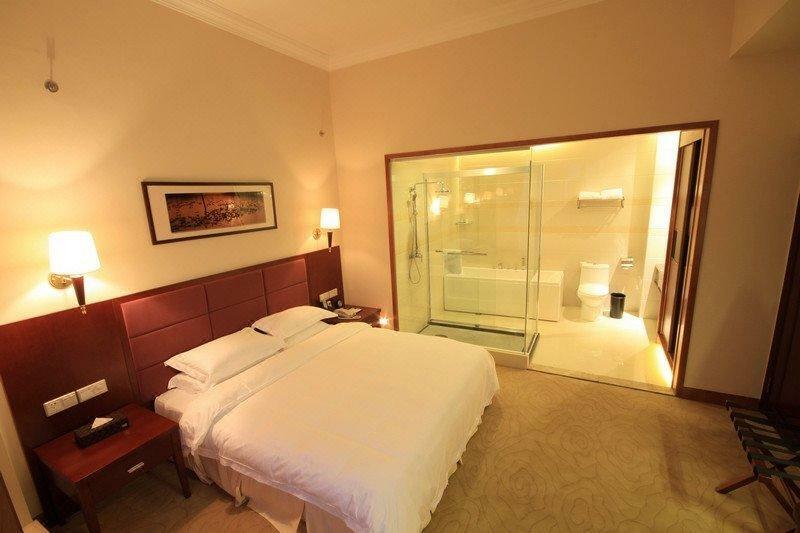 The Jin Chao Xiang Superior Chaozhou Restaurant can accommodate 500 people at the same time, with 21 elegant VIP rooms and a luxury banquet hall that combines Chinese classical charm with modern aesthetics. The national Chaozhou Chef demonstrates traditional, delicious Chaozhou cuisine for guests from all over the world. The International Conference Center is on 21st Floor. There is also a multifunction deluxe banquet hall which covers an area of 260 square meters, holding 260 people for large and medium-sized meeting with 20 tables, and two medium and small-sized meeting rooms can satisfy most kinds of conferences with a capacity of 10 to 80 people.